Aimersoft Video Converter Ultimate is an all-in-one video tool. With it you can convert videos in any format to other format quickly; download online video from YouTube, Facebook, Vimeo and other 1000+ sites; edit videos, record video and compress video. Moreover, it can burn DVD, CD, and it has more other features. What can Aimersoft Video Converter Ultimate do? Convert: As the best video converter on the market, Aimersoft Video Converter Ultimate is capable of converting video in 250+ formats losslessly. It supports MP4, MOV, AVI, MKV, WMV, MPEG, FLV, etc. You can edit the video before conversion. It also supports audio conversion. Download: Download online video from YouTube, Vimeo, Facebook, Twitter, Vevo, Dailymotion and more than 1000 online video sharing sites. You can download the videos in any format like MP4, MOV, AIV. The download speed is 30X faster than other downloaders. Burn: Burn video to DVD/Blu-ray disc easily with pretty templates. Or burn DVD to ISO/DVD folder quickly. Transfer: Easily transfer the converted, downloaded, edited videos or media files from computer to mobile device. It supports iPhone, iPad, iPod Touch, Android phone/tablet and external hard drive. Toolbox: There are more features in Toolbox. They are VR converter, video compressor, screen recorder, GIF maker, CD burner and a tool to fix meida metadata. 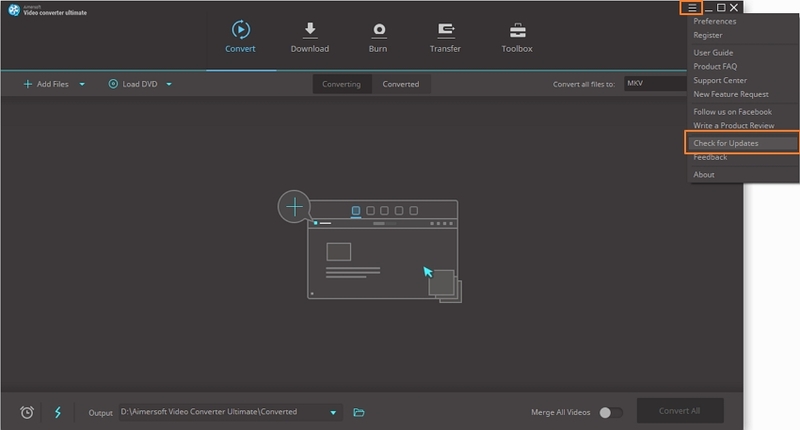 The following will show you how to get started with Aimersoft Video Converter Ultimate. They are about download, installation, register and settings. Click the Free Download button below to have the installation package on your computer. Both Window and Mac versions are available. It is compatible with Windows OS (Windows 10/8/7/Vista/XP), and macOS 10.7 to newest 10.14 Mojave. It takes no time to download the package. Now find and double-click on it. Click Customize Install. Now you can choose the language and installation path. There are 8 languages available. They are English, German, Spanish, Portuguese, French, Italian, Arabic, and Japanese. 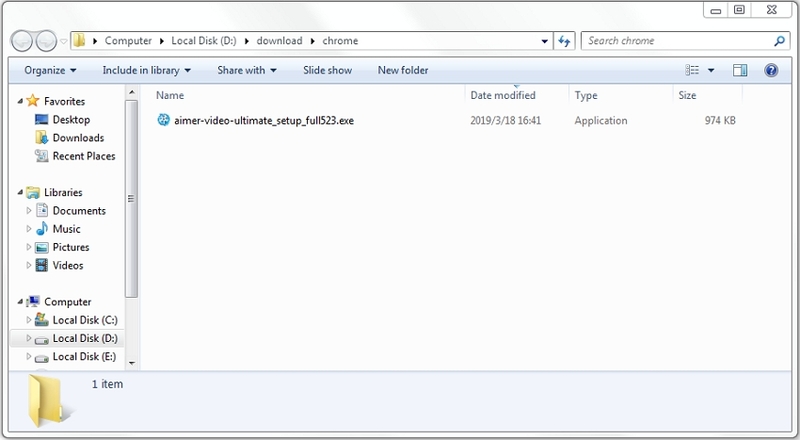 When it finishes the installation process, you can get a pop-up window, where requires you to click the Start Now button to open Aimersoft Video Converter Ultimate. 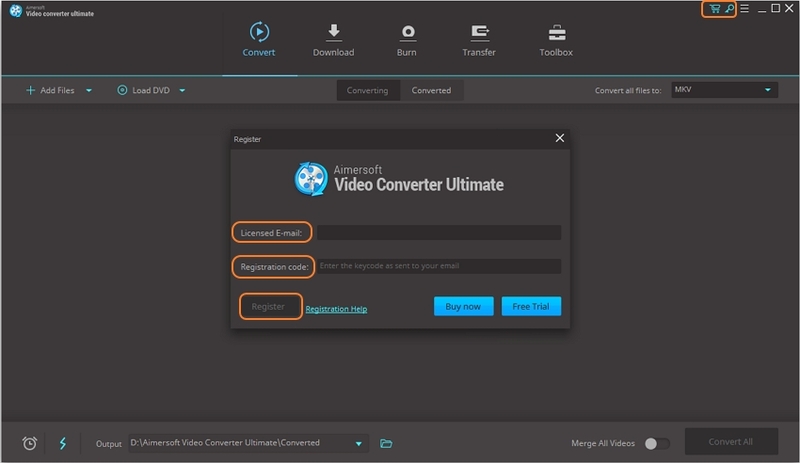 Aimersoft Video Converter Ultimate allows some limited features on free trial version. To enjoy full features, you will need to buy and register it. Please click the shopping cart icon on the right-top corner to enter the purchasing page. Then you will get an Email with a code to unlock Aimersoft Video Converter Ultimate. Now back to the program and click the Key icon to get the Register window. Here enter the Licensed Email and Registration code given in the Email. Click on the Register button at last. When it is registered successfully, you can see a window like this. 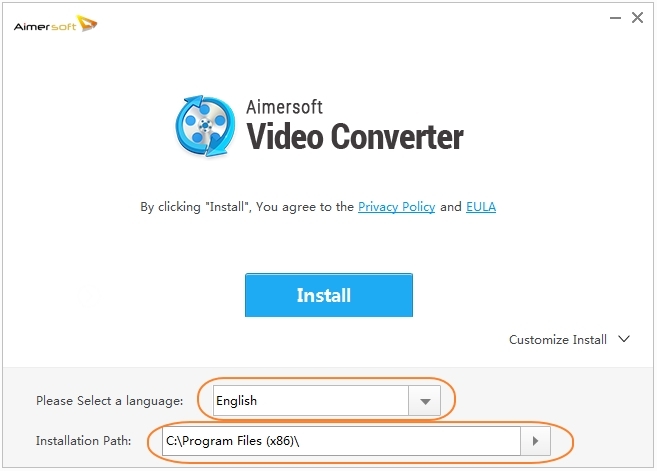 Tips: To update Aimersoft Video Converter Ultimate, you can click the Menu icon and choose Check for Update. 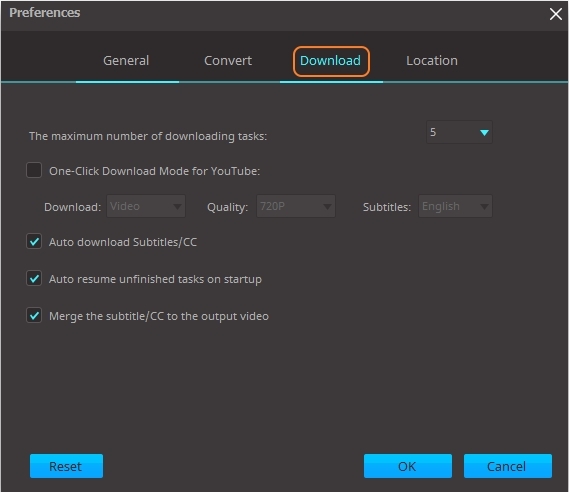 You can change Aimersoft Video Converter Ultimate settings according to your preference. To begin with, click Menu > Preferences. On the General tab, you can see the first is sound reminder. This will give you a sound when the task is finished. If you don't want the sound, you can uncheck it. 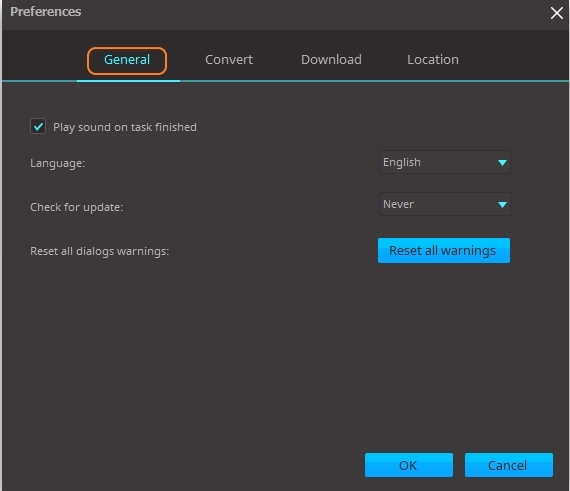 Next, you can set the Language and the frequency of update checking. The Reset all warnings button will allow to reset all the pop-up warning dialogs to be the original settings. When you click Location tab, you can preset the destination address for saving files. You can set the address to save converted/downloaded files, and DVD/ISO files. The following tutorials include how to convert video, edit video, download video, record video, compress video, merge videos, and how to burn DVD/CD. You can find the guides for other features as well. Let’s get start with How to Convert Video Quickly.